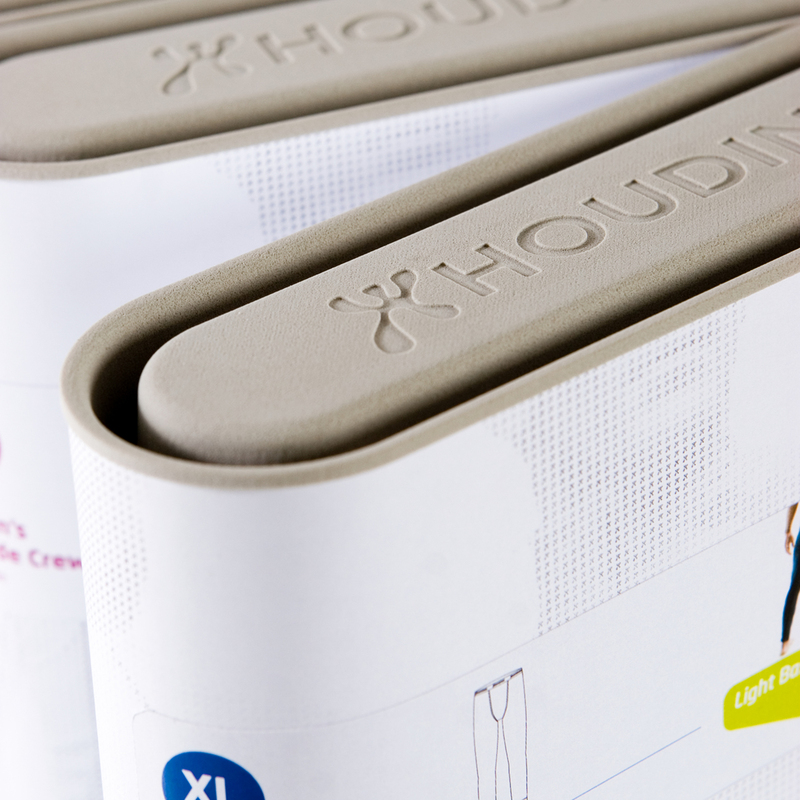 Houdini develops sportswear that offers comfort regardless of the weather or level of exertion. 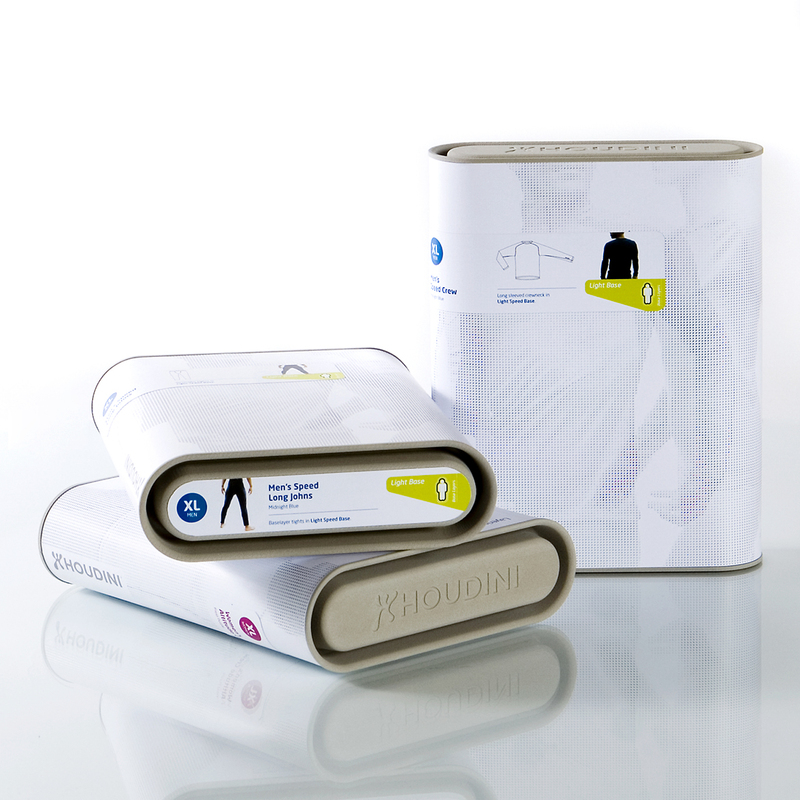 Their products include base-layer clothing like micro-fiber undershirts and boxers, T-shirts and insulating long johns. What they needed from Propeller was packaging that would communicate their values and make them stand out in stores. We came up with racetrack-shaped packaging that fits into a wide variety of store fixtures. Key information is visible from the front, side and top. A system of colors and symbols makes it easy to identify products, styles, and sizes. Fully recyclable and environmentally friendly, the packaging also features a simple, straightforward graphic language that helps consumers choose the kind of base layers they need for their specific sports.